Mayo boss James Horan received a massive boost ahead of their assault on the Connacht SFC with ace attacker Cillian O'Connor making a welcome return in club action over the weekend. 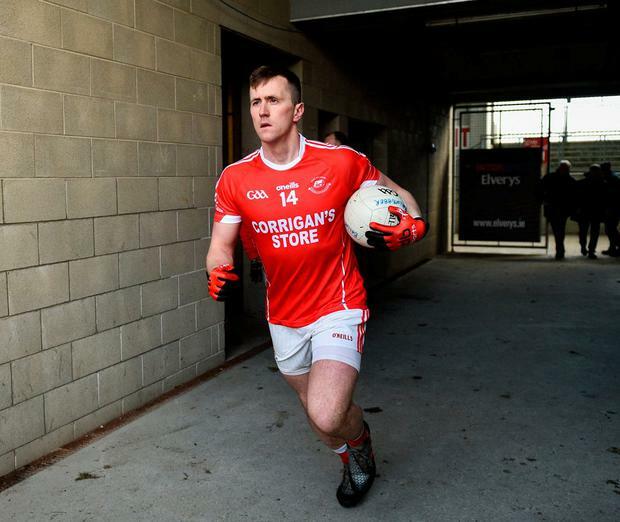 Former captain O'Connor was forced to watch from the sidelines with a knee injury throughout the spring as younger brother Diarmuid led Mayo to their first League title in 18 years. Cillian O'Connor - Mayo's record scorer - required keyhole surgery before Christmas to fix a long-standing problem and has only made it back to full training in recent weeks but he moved one step closer to a county return when coming on for Ballintubber in their 0-18 to 1-3 demolition of Hollymount-Carramore on Saturday. The 26-year-old looked sharp and contributed a point off the bench for the reigning Mayo SFC champions, increasing Horan's options for their Connacht SFC opener in New York on May 5. Horan will also be pleased with the form of another of his leading marksmen as Andy Moran showed his mettle once again to secure a last-gasp win, 2-10 to 1-12, for Ballaghaderreen against Claremorris. The former Footballer of the Year converted an injury-time penalty to seal a remarkable turnaround as his side overhauled a 0-11 to 0-3 half-time deficit to secure an important opening-round victory. There was plenty of excitement elsewhere with Castlebar Mitchels and Ballina Stephenites finishing level, as did Aghamore and Westport, while there were one-point wins for Belmullet and Kiltane over Charlestown and Moy Davitts respectively. Last year's beaten finalists Breaffy - powered by Aidan O'Shea and Rob Hennelly - got their quest for a first Moclair Cup off to a smooth start with a 1-10 to 0-7 defeat of Davitts, while Kevin McLoughlin's Knockmore beat Garrymore 1-9 to 1-5.